Swatting is becoming the latest trend in malicious pranks. 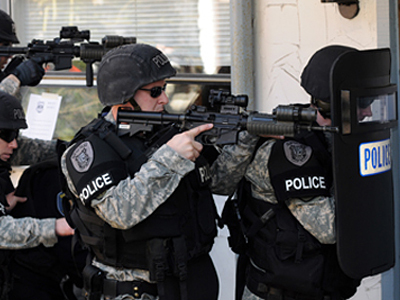 A series of 9-1-1 calls in the US and Canada has led to tense standoffs where innocent people have been taken into custody by SWAT teams. Police searched Myles’ home for the alleged victims, but came up empty handed. The mother and sister were not found. It is believed that these phony calls are coming from hackers who are likely using Voice over Internet Protocol to make it seem the emergency call is coming from inside the victim’s home. A week prior to Myles run in with the law, 18 police units stormed a home in British Columbia after a call of a hostage situation was reported at the residence.A woman was taken into custody at the home and detained for approximately two hours while police verified there was no threat present. As of now it is unknown when swatting originated but the Federal Bureau of Investigations is aware of the issue and says this type of thing isn’t anything new. According to the FBI’s website, the agency compares “swatting” to “phone phreakers” for the 1970’s. At that timea small group was hacking into phone companies’ computers and making long-distance calls free of charge. The FBI’s website states between 2002 and 2006, five “swatters” dialed 9-1-1 in more than 60 cities across the US, affecting more than 100 people. These incidents resulted in more than $250,000 in loses to emergency responders and telecommunications providers. These alleged “swatters” have been brought to justice in past cases and the FBI has tracked down the suspects through cooperative efforts from local to state agencies.